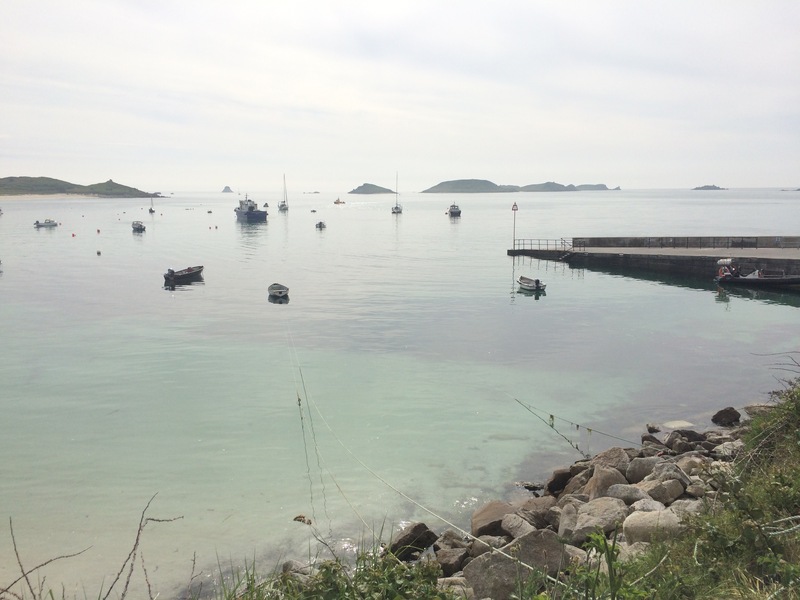 Several people had told me that I must go to the Scilly Isles, how beautiful they are, how clear the sea is, how lovely the beaches are and how cold the water is. So I caught the (very expensive) ferry from Penzance to find out. 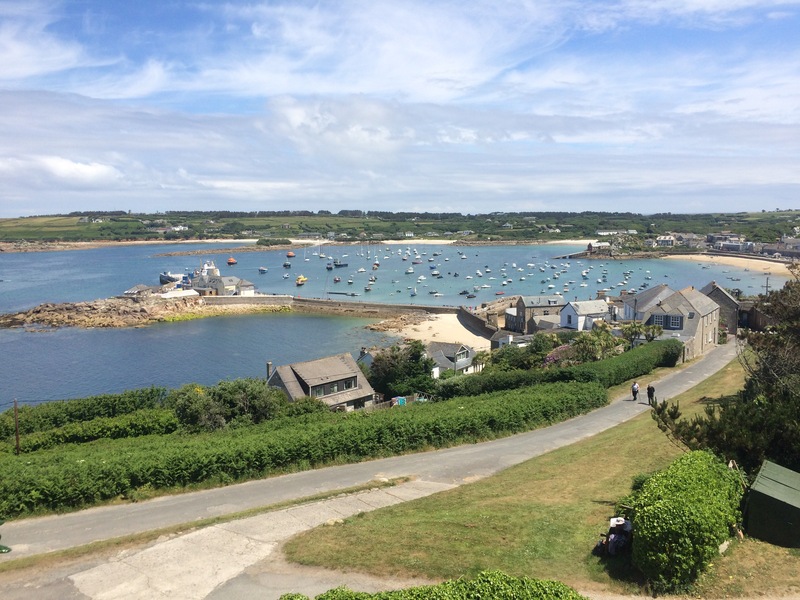 I arrived at St Mary’s harbour, in Hugh Town, and, on a whim, caught another ferry to St Martin’s in order to camp there. 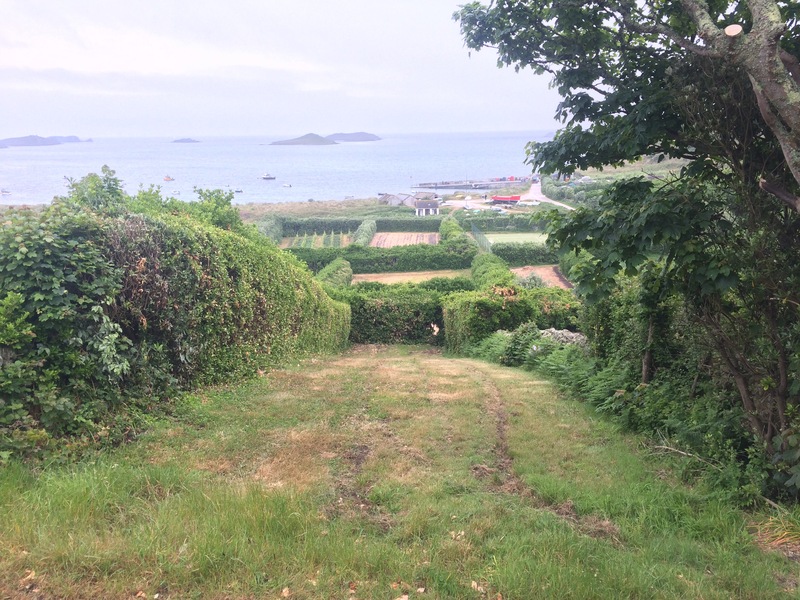 It was a beautiful campsite, sheltered by big hedges and about 40m across the dunes from a beach. 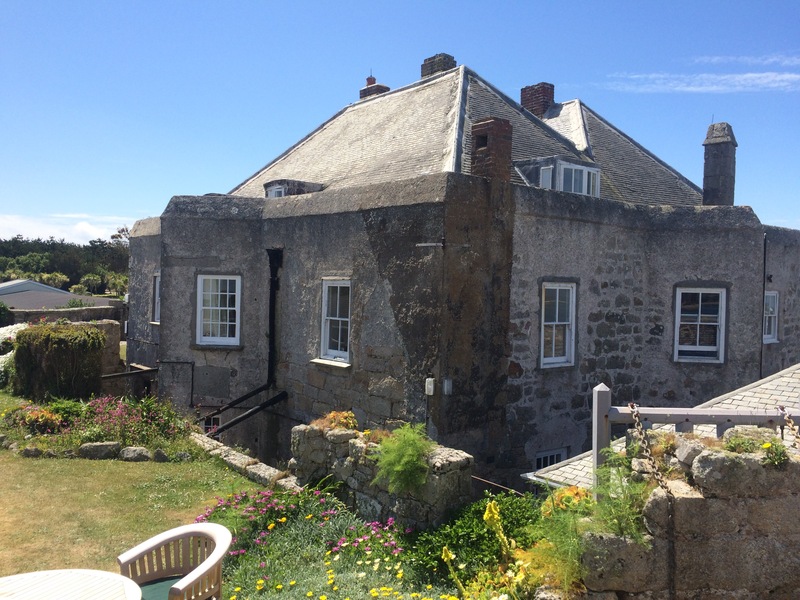 I stayed for 3 nights before spending my last night on St Mary’s. 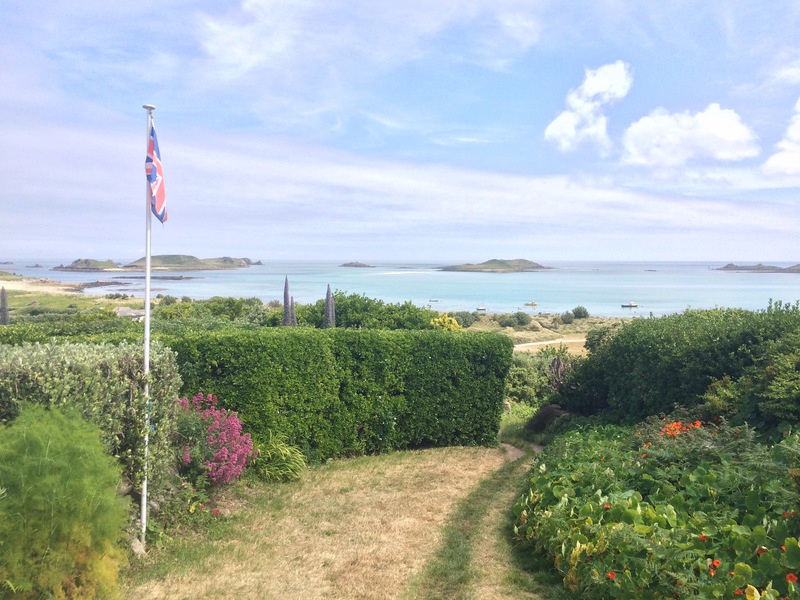 The Scilly Isles are an archipelago of more than 200 low-lying granite islands and rocks. 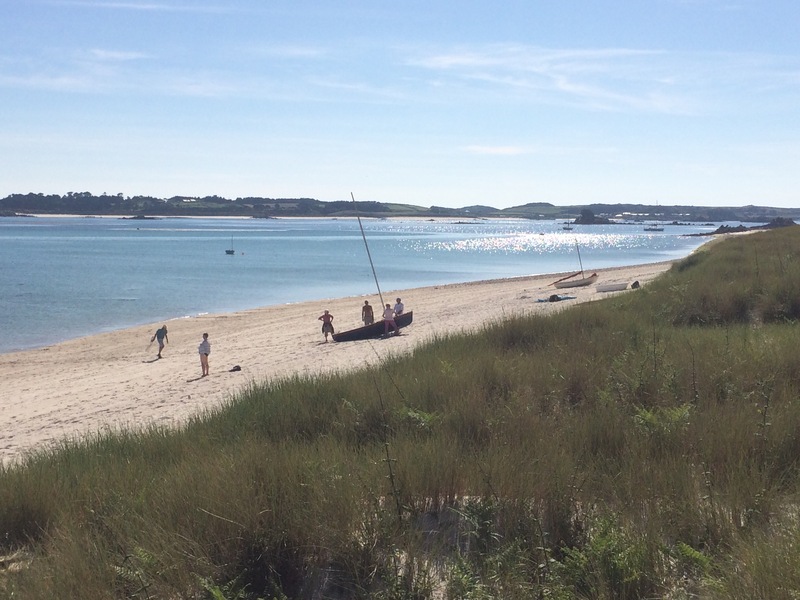 Only 5 islands are inhabited; St Mary’s and Tresco are the main islands and St Martin’s, Bryher and St Agnes are referred to as the “off-islands”. 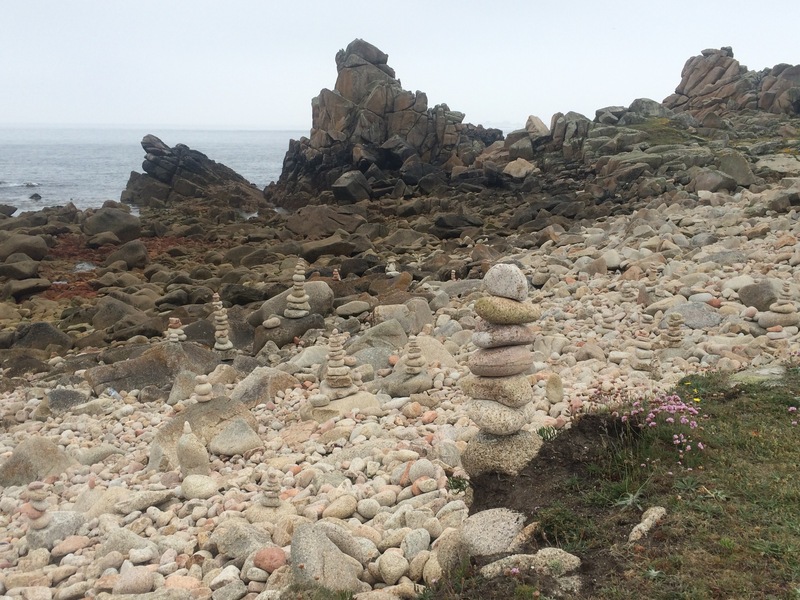 They are 28 miles SW from Land’s End and face the full force of the Atlantic Ocean. 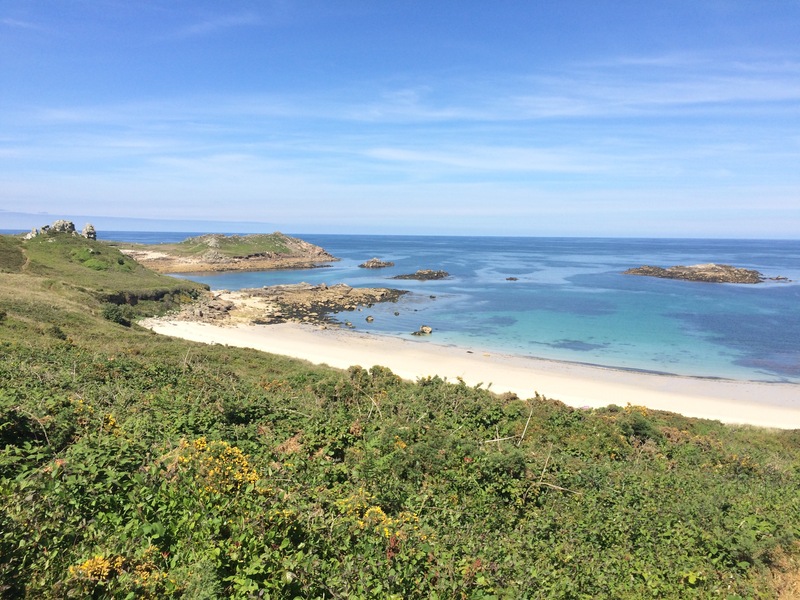 The Scillies have a temperate climate, with high rainfall, high humidity and a small temperature range. I happened to visit at the end of an unusually long dry spell and had a couple of days of fantastic sunshine. I’m sure the sun burns more here than on the mainland. I packed as much as possible into my 4 days and managed to get to all 5 islands. They are all different, but also the same. On the off-islands in particular it felt like I’d gone back in time. Time also slowed down. I think much of that feeling has to do with the lack of vehicles on the roads. The islanders do have cars (or tractors, or golf buggies), but none of the tourists do. Life is centred on the sea and, if you live here, you should definitely buy a boat before you even think about getting a car. I managed to go swimming several times (the water was a bit colder than Cornwall’s but not that cold). The sea was clear, but I didn’t think it was any clearer than Cornwall’s or West Scotland’s, it was just shallower and therefore you could see the bottom easier. 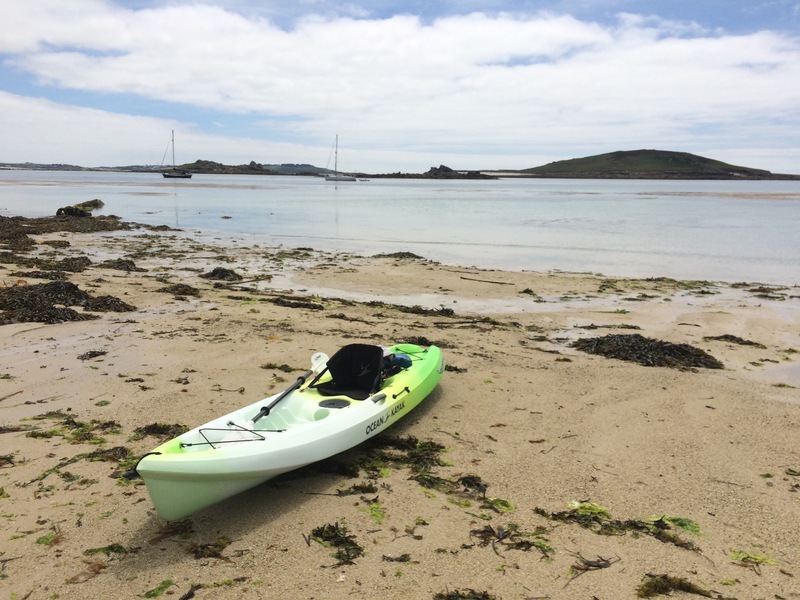 I hired a kayak and paddled from St Martin’s, around Tresco, to Bryher. The sea ‘inside’ the shelter of the islands seemed really shallow, mostly sandy-bottomed, but with lots of seaweed. I have never thought of seaweed as beautiful, it often looked like mermaid’s hair rising from the deep and floating on the top of the water. Everyone commutes by boat and the information board at the campsite entrance was updated daily with sailing times and destinations. 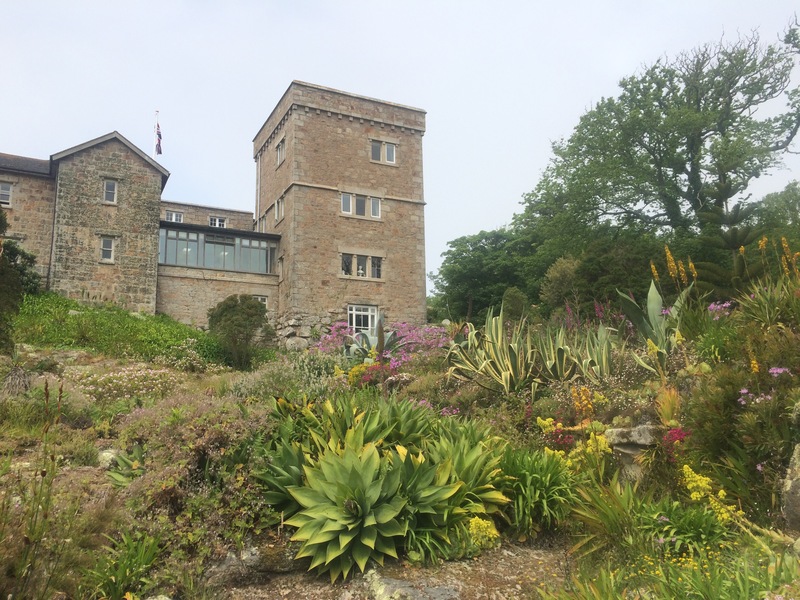 I took a day trip to Tresco, ostensibly to see the famous Abbey Gardens (the only place in the UK where tropical plants grow outside) but the entrance fee was £15 and I knew it wasn’t worth it for me. I read all the information and decided I didn’t want to wander around gardens with plants from places like South America. Instead I went on a free RSPB guided walk and glimpsed the gardens from the outside. Besides, a cruise ship was docked so the gardens were very busy (the RSPB man was not!). 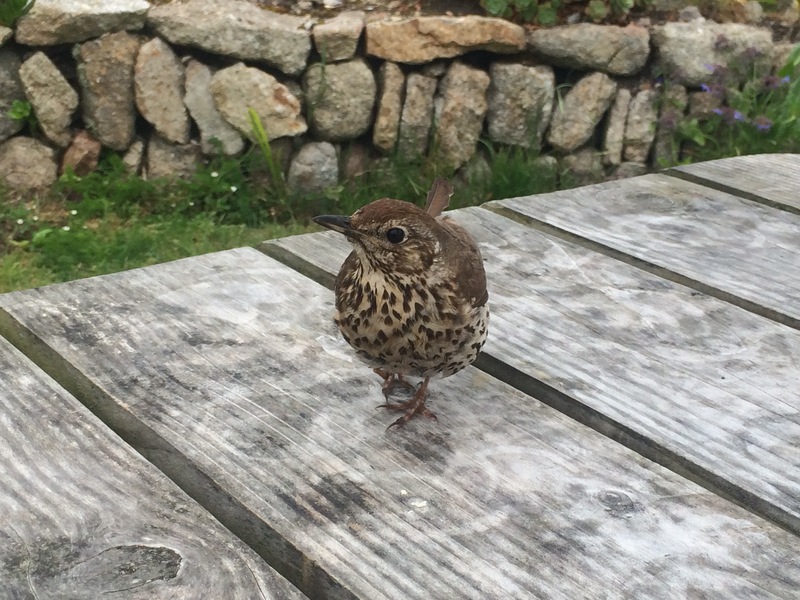 The bird life around the Scillies is much less way of humans than on the mainland. In fact it’s positively cheeky. I always had thrushes (much more common over here), sparrows and blackbirds hopping around my tent looking for any scraps I might offer them. Sitting outside cafes I often shared my cream tea with a bird or three. 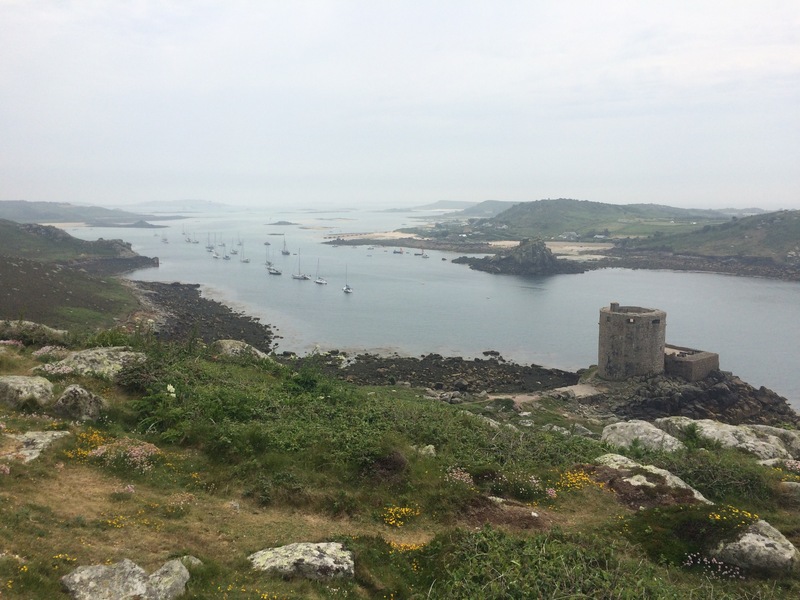 I did walk around much of Tresco and took in Cromwell’s Castle (a round castle for Roundheads) which replaced King Charles’ Castle (just above it) in 1651. They both defended the channel into New Grimsby Harbour. There was some really old graffiti in Cromwell’s Castle, the oldest I could find was dated 1755. 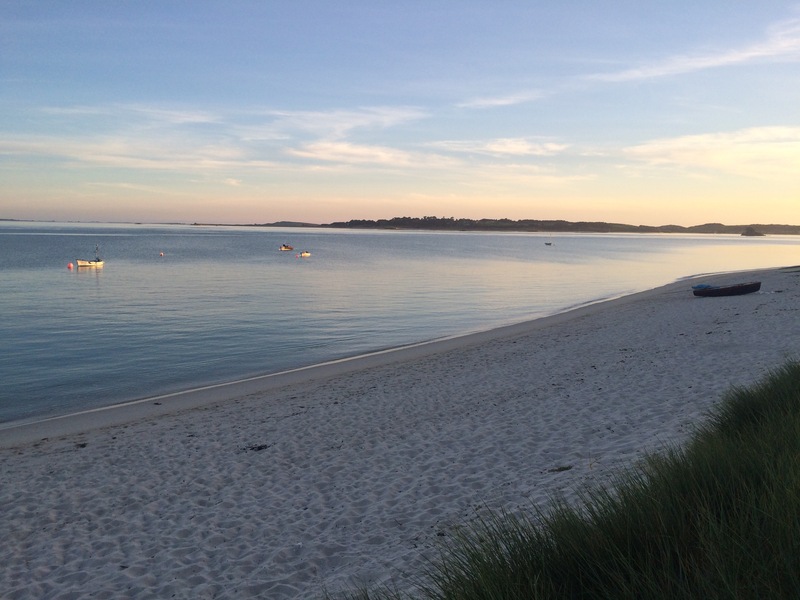 Tresco is the “posh island”. It’s leased to the Dorrien-Smith Estate and I was told it is where the merchant bankers holiday. Everywhere was signposted, all bins hidden in wooden boxes, an information centre, and plenty of workers running or driving around (there seemed to be more staff than clients around the accommodation). Holidaymakers staying here had the luxury of golf buggies and a concierge service to book everything for them. To me it had the air of an incredibly posh Butlins. Excellent service in the cafes, as I would have expected. Three evenings in a row I sat outside the Seven Stones Inn on St Martin’s admiring the view of dinner and a pint. It was a wonderful setting. St Martin’s is the island most associated with white, sandy beaches and stunning blue, shallow sea. There is pretty much one road (more like a tarmac’d track) that connects Lower Town to Middle Town and Upper Town. It takes about 10 minutes to walk the length of it. Aside from the pub and campsite, there is also a post office and general stores, a very good bakery, a hotel, a couple of cafes and various vegetable plots and flower farms. The extra small fields, many lying fallow, with high hedges are designed to protect flowers from the wind. On the 4th day it rained. Undeterred I carried on with my plan to pack up and get the boat to St Mary’s. 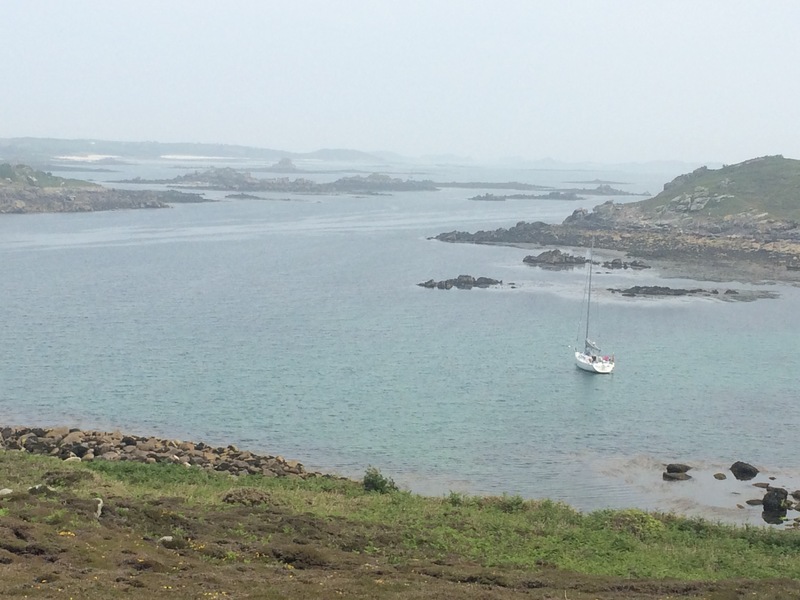 I re-pitched my tent in The Garrison campsite and then caught another boat (all within an hour) over to St Agnes, the most Southerly of the islands. 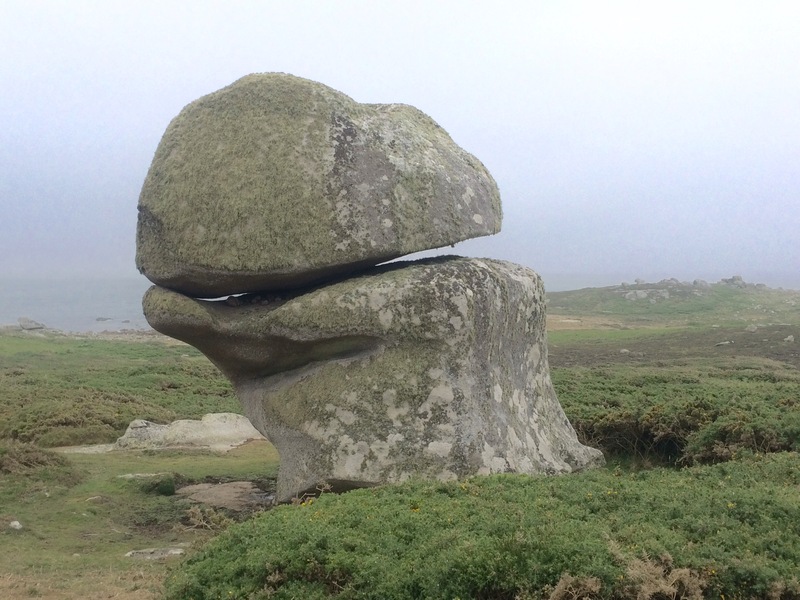 I spent the day walking around this rugged island, which reminded me of West Penwith with its impressive rock formations covered in green algae. Fantastic names too; I walked across Wingletang Down to see the punchbowl rock. 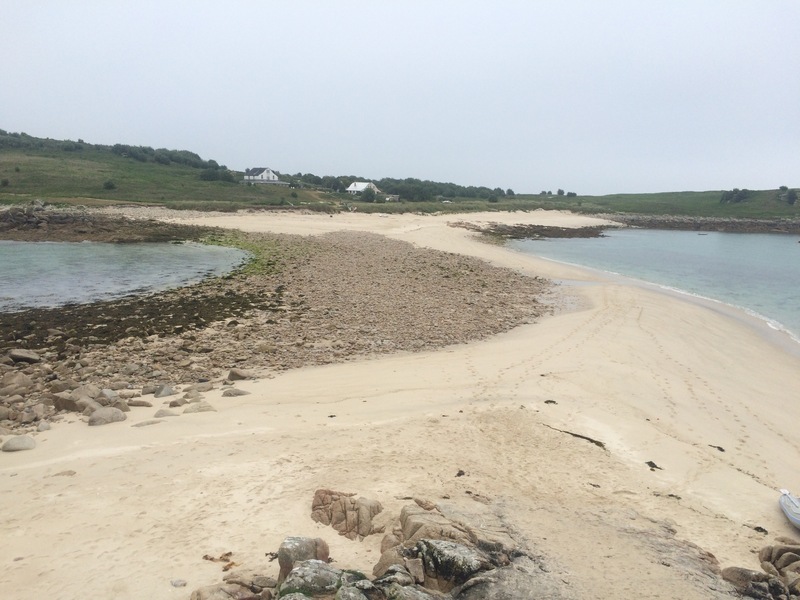 St Agnes and Gugh, the small island connected to St Agnes by a beach causeway, were declared rat-free in February 2016 after an extermination project. Since then Manx Shearwaters and Puffins have started re-colonising the islands. I saw a shearwater burrow that was being monitored. 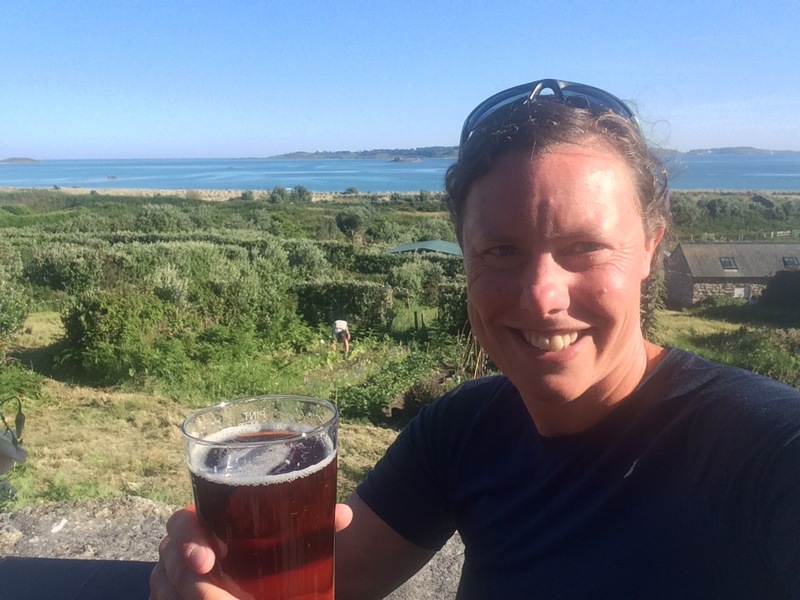 I stayed on St Agnes into the early evening especially to dine at The Turk’s Head, Britain’s most Southwesterly pub. It had been recommended and didn’t disappoint. 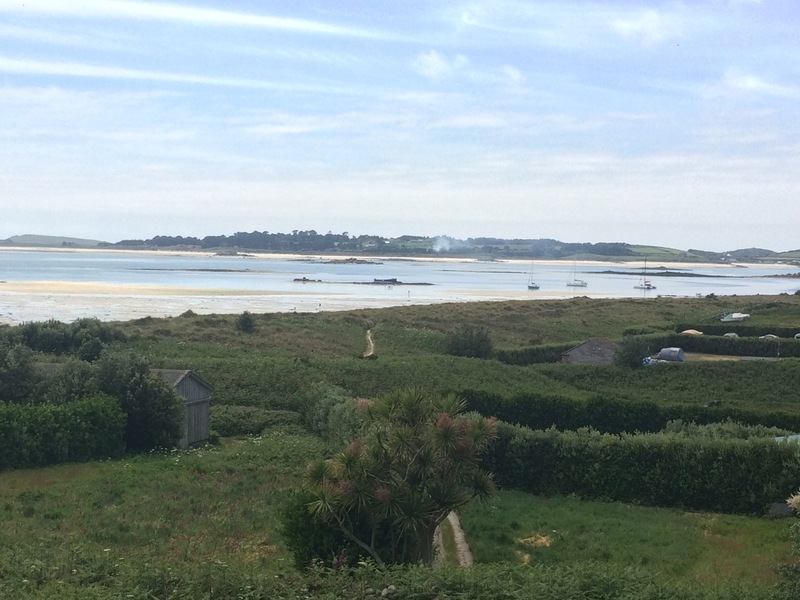 I also made a point of visiting Troytown Farm for one of its homemade icecreams; another Scilly delight. 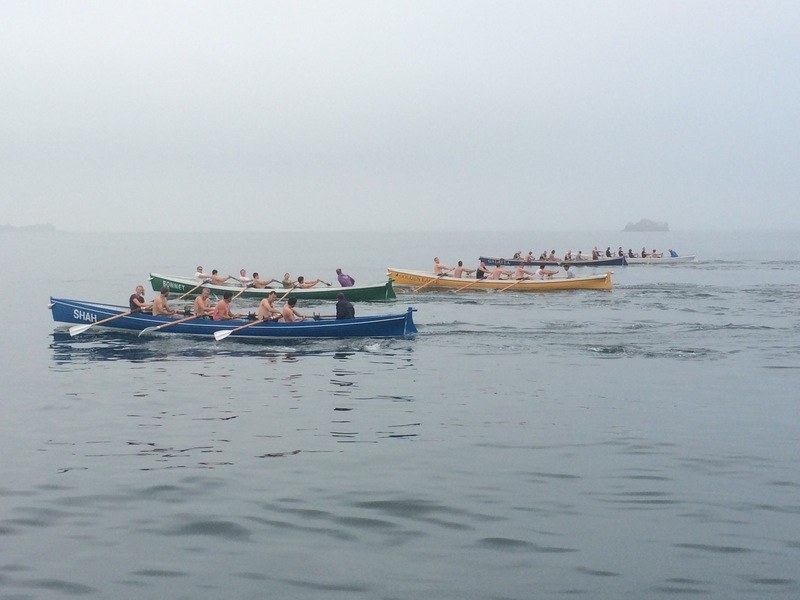 Friday was Men’s Pilot Gig race evening. I managed to secure myself a ride on one of the supporter boats to watch the race. 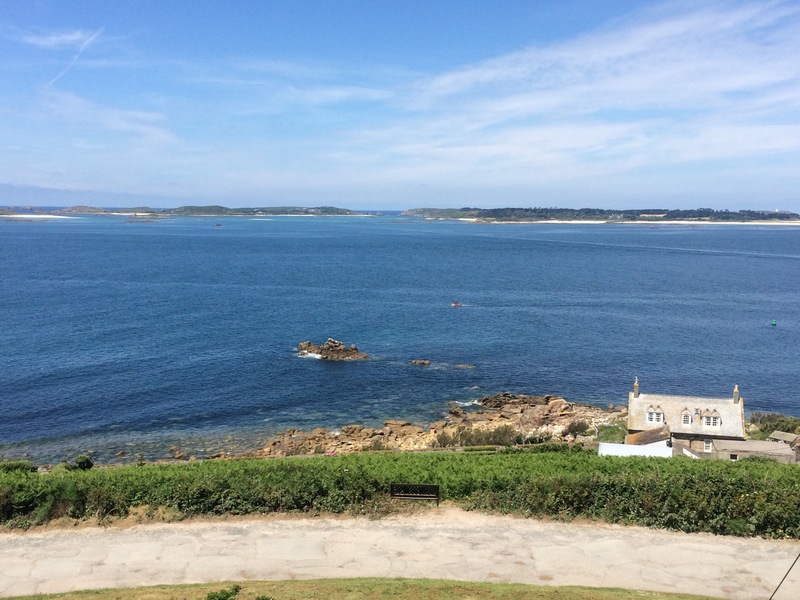 Pilot Gig racing is the Scilly Isles’ national sport. 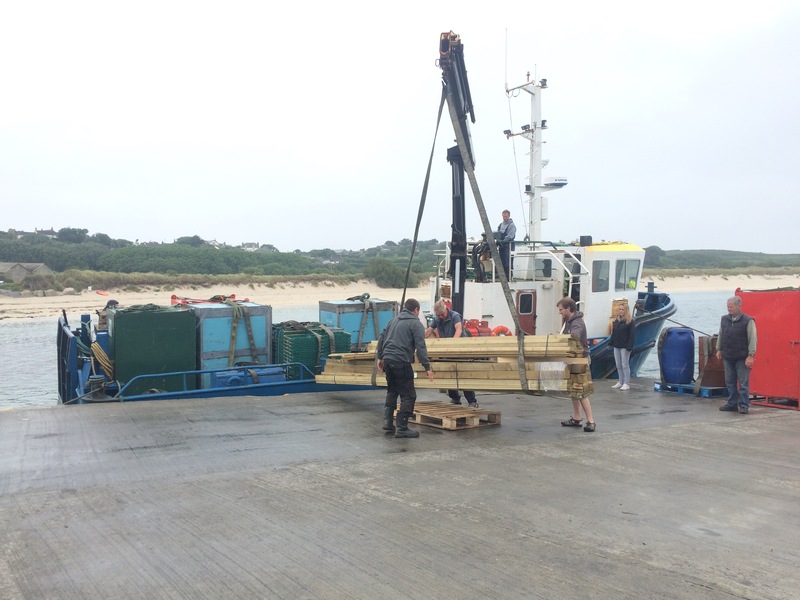 It originated back when gigs used to ferry pilots out to big ships so they could guide them into the Scilly waters. The gigs raced one another to each ship as the first pilot there got the job. Nowadays the gigs race without the pilots. The Bonnet, with a St Mary’s crew, won the race I watched in the oldest pilot gig boat, built in 1830 and still going strong. I spent my final day hanging around Hugh Town and The Garrison. St Mary’s feels very busy compared to the off-islands. You shouldn’t really walk down the middle of the road here as there is traffic on it. Hugh Town has the only petrol station in the Scillies and nowhere has the luxury of mains gas, it’s all bottled. I hadn’t booked my return ferry and wasn’t able to because booking was closed until the passengers who had been scheduled to fly on the previous day, when poor visibility had meant flights were cancelled, were sorted out. It took until early afternoon before I could book a space. I didn’t mind because I had picked up a stinking cold and just fancied relaxing in the sunshine. I walked around The Garrison headland, designed to protect St Mary’s. The Star Castle, now a hotel, was built inside The Garrison in the 1590s. I decided to have lunch there and enjoy the commanding views across to the other islands. I ate on the castle ramparts of this posh hotel, which was better than sitting in the dungeon on a hot, sunny day. It was a perfect end to my little holiday.